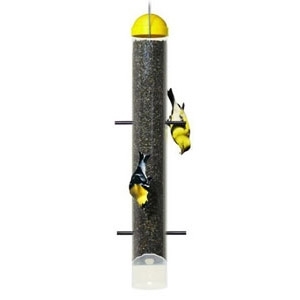 The Perky-Pet® Upside Down Finch Feeder features six upside-down perches for a wacky way to feed your wild birds. It is also designed to keep away house finches, so you are feeding goldfinch only. Hanging birdfeeder.